My parents' church is having a Church Homecoming in July. 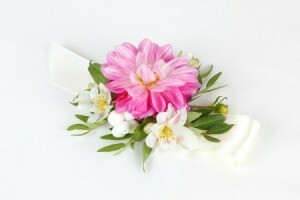 I have been asked to make or find someone to make 30 wrist corsages. I would like to make them and save the church some money. Can anyone give me some easy steps in making wrist corsages? I have made two wrist corsages for my daughter for formal dances. The tip I would give is to buy the base to make the corsage on at a store like Micheal's or some other craft or sewing store and then go from there. I made corsages for my son's date and the dates of several of his friends. It's real easy. I just went to www.michaels.com, typed in corsage in the search. It will give you several instruction sheets. You can follow theirs exactly or get creative and make your own originals. Good luck! I have made my daughter some wrist corsages for homecoming/prom, and I go to the local flower shop to get the base for my wrist corsage. Its cheap and works perfectly. They are called wristlets.